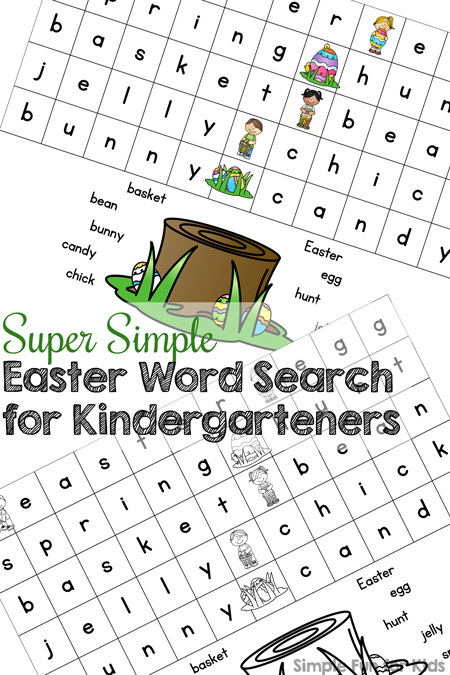 For day 3 of the 7 Days of Easter Printables series, I have a no prep literacy printable for you: Super Simple Easter Word Search for Kindergarteners! 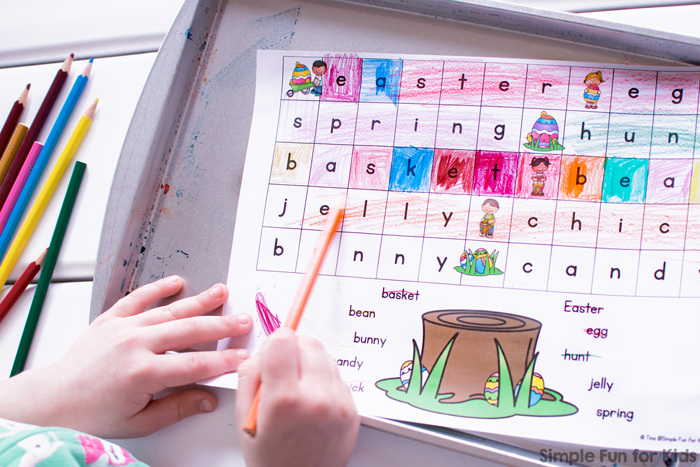 The objective is to identify ten simple, easy to find Easter words (basket, bean, bunny, candy, chick, Easter, egg, hunt, jelly, spring) in a grid. This is a one-page no prep printable that’s available in color and in black and white. I’ve included ten different Easter words that are listed at the bottom of the page and again written in a grid in the top half. 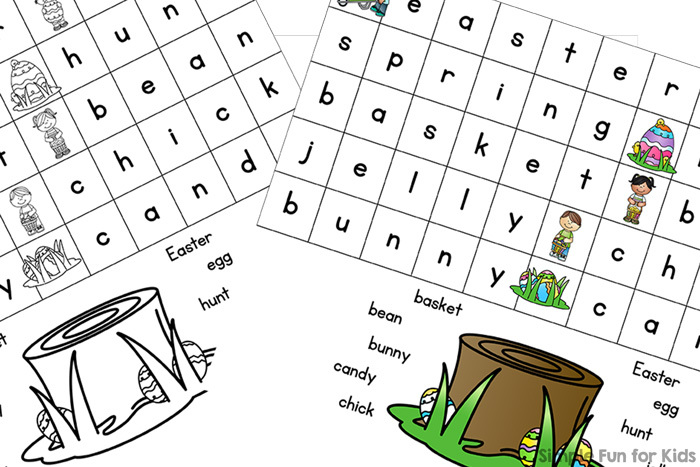 The words in the grid are separated with small Easter-themed images to make it easy for beginners to identify each word. Just print one of the pages, no special prep is required. 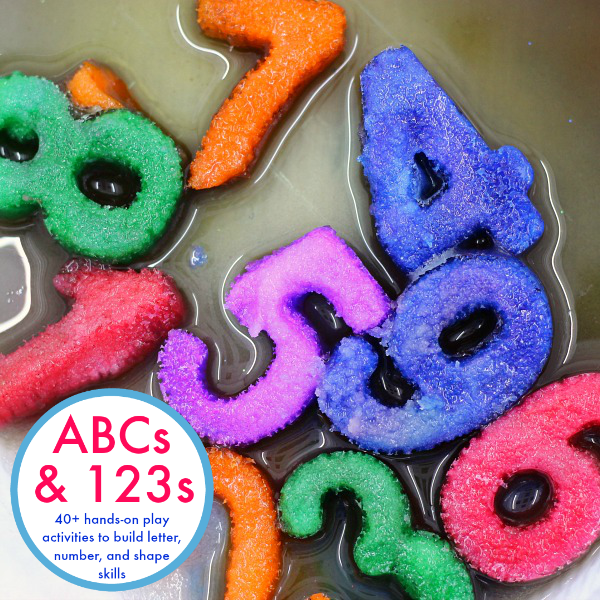 Easter Kids Matching Game for Toddlers, Easter Kids Matching Clip Cards, Advanced Easter Cutting Practice Puzzles, and B is for Bunny Handwriting Letter Mazes all use the same set.